Bangladesh has made major progress in development since independence, as reflected in rising per capita incomes, falling poverty rates and improving human development indicators. In particular, the gross domestic product (GDP) growth rate rose from less than 4.0 per cent per year during 1970s to 6.0 per cent plus in the Sixth Five-Year Plan period of FY2011-FY2015. The economy has been growing at 7.0 per cent plus since FY2016. The government now aspires to achieve an 8.0 per cent growth rate by the end of the Seventh Five-Year Plan and to sustain it at that level with a view to achieving upper-middle-income status by FY2031. Many factors will contribute to materialising this aspiration. A major constraint is the energy sector, which the government must address if it is to achieve its GDP growth target. Among the many challenges facing the energy sector are two key issues: first, the heavy financial burden of fuel oil subsidies, which adversely affects the government's ability to finance critical spending for education, health and social protection, while also contributing to the rapid accumulation of debts by the national oil company (the Bangladesh Petroleum Corporation, BPC); and, second, constraints to the expansion of the power sector to meet growing demand owing to the inadequacy of a diversified primary energy supply chain. Future demand for oil is expected to grow at a more rapid pace than in the past owing to three important structural changes affecting the Bangladesh oil market. First, the aspiration to grow at an unprecedented pace of 8.0 per cent per year will be fuelled mainly by the expansion of the manufacturing sector, which is much more energy-intensive than agriculture. Second, growing urbanisation will add to the energy intensity of the economy. And third, as gas reserves continue to dwindle, the reliance on imported oil for primary fuel supply will grow. The development of other alternative primary fuel sources (coal, hydro-power, liquefied natural gas, renewable energy) faces major uncertainties and will likely take a long time to be satisfactorily resolved. Consequently, efficient management of the domestic oil market and oil prices will be necessary to avoid an adverse effect of oil imports and international oil prices on the balance of payments and the budget. 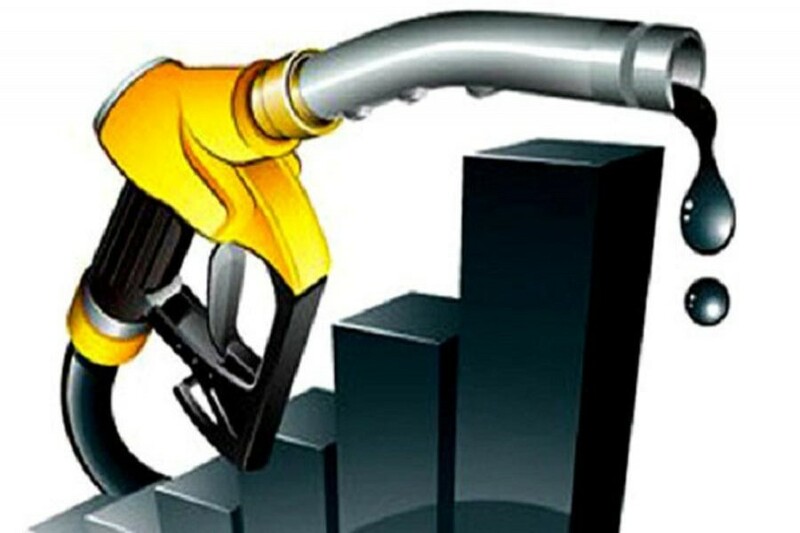 In particular, international oil prices are rising again, which could push up the subsidy bill and hamper the government's ability to finance the programmes in infrastructure and human development that are needed to achieve and sustain 8.0 per cent GDP growth. Domestic oil market and pricing policy: Bangladesh is an oil-importing country with government control over production, imports, domestic distribution and prices. The Bangladesh Petroleum Act 1974 essentially vested all legal authority in the government in the area of petroleum. In recent years, some deregulation has allowed private sector involvement in the oil sector on a very limited scale. The Bangladesh Petroleum Corporation (BPC) is the key public agency for imports, production and supply of petroleum products throughout the country, with the involvement of the publicly-owned Eastern Refinery Limited and public distribution companies in the supply chain. Historically, the government sets domestic oil prices in consultation with the BPC. As international oil price shocks occurred, it became increasingly difficult for the government to pass on the cost increases to consumers. This resulted in a growing gap between the average cost of oil products and the retail price to consumers. Commensurately, the government's subsidy bill soared. The main political consideration in price-setting is the sensitivity of the concerned oil product in terms of the perceived impact on the consumer budget. Diesel and kerosene, which are mostly used in transportation, irrigation and rural household lighting, are considered highly sensitive products. The pricing policy therefore provides a subsidy for these. Octane and petrol are used for cars, which mostly belong to the rich. As such, these are not considered sensitive and are taxed. Furnace oil is used mainly for power generation by private producers and in the manufacturing sector. These are also considered sensitive and thus subsidised. Historically, petrol and octane prices have for the most part exceeded the average cost of production whereas diesel, kerosene and furnace oil have come in below it. The scenario changed during FY2015-FY2017 in light of the collapse of international oil prices starting in late 2014. The average selling prices of all petroleum products in these years exceeded the average cost, but taxes were particularly significant for petrol and octane. This phenomenon was an outlier, however, and not the result of a strategic domestic pricing policy. Consequently, without a change in the domestic pricing policy stance, subsidies will likely re-emerge, as international oil prices have started going up since 2017. Indeed, international oil prices have shown an accelerating upward trend in 2018. Thus, for example, average crude oil prices as of July 2018 were 68 per cent higher than the average price in 2016. Although still lower than peak prices during 2011-2014, the upward trend signals an end to the low average prices of 2015-2017 and policy-makers need to figure this into the budget policy formulation. The pricing mechanism has remained basically ad-hoc, mostly driven by political considerations about a possible backlash among citizens against rising prices. Fiscal costs have sometimes entered the equation in allowing limited price increases. But other considerations, such as the effect on BPC's financial performance, the effect on incentives, the choice of technology and investment decisions and the impact on the environment and climate change, have never been factors in pricing decisions. A half-hearted attempt to reform pricing policy was undertaken in 2003-2004, mostly in response to donor pressure. The Bangladesh Energy Regulatory Commission (BERC) was established in 2003 to regulate the energy industry, facilitate private sector participation and set prices. The government also agreed to set up an oil pricing mechanism that allowed The Bangladesh Energy Regulatory Commission (BERC) to administer pass-through of international prices and other cost factors. The BERC lacks autonomy and is basically guided by the government in its policy decisions. The automatic pass-through pricing policy was never implemented, for fear of a negative political reaction. A renewed effort to introduce an automatic oil pricing mechanism with a view to fully passing on the international oil price changes to consumers was attempted in 2012 in the context of a three-year Extended Credit Facility Arrangement with the International Monetary Fund. This automatic price was adopted as a structural benchmark but was never implemented. Macroeconomic and environmental impact of oil pricing, subsidies and oil market controls: The oil pricing and subsidy policy and the controlled oil market have had several negative macroeconomic implications for Bangladesh. Energy subsidies grew rapidly between FY2007 and FY2013, reaching 1.1 per cent of GDP in FY2013, which was 60 per cent higher than the health budget (0.7 per cent of GDP) in that year. More generally, oil and electricity subsidies have sharply reduced the government's already very limited fiscal space to finance essential programmes for infrastructure and human development. Oil subsidies have also contributed to increased domestic demand for imported oil, thus worsening the trade balance. A significant distortive effect of oil subsidies is that on investment in physical plants, which tends to be more energy-intensive in the presence of energy subsidies than in their absence. This is particularly harmful for infrastructure with a very long lifetime. Additionally, the BPC has been suffering from severe financial constraints that have reduced its ability to invest in new facilities and upgrade its services. Its outstanding cumulative deficits at the end of FY2015 stood at Tk 464 billion ($5.9 billion), equivalent to 3.1 per cent of national GDP. As BPC is a state-owned enterprise (SOE), these are contingent liabilities of the Treasury, and the counterpart is reflected in international loans/credits and loans from the public banking sector. Most of the debt servicing burden falls back on the Treasury. Resource constraints in BPC and entry restrictions on the private sector have prevented new investments in the oil sector, including in oil refineries. Furthermore, the absence of competition has lowered the efficiency and accountability of public oil enterprises. Similarly, retail outlets for the sale of gasoline managed by public entities are out-dated, with low-quality facilities, poor customer service and low safety standards. Oil pricing has also negatively affected the performance of the state-owned banks. Part of BPC's losses after subsidies found its way to the public bank portfolio through borrowings that were often not serviced in a timely manner. In addition to these serious adverse macroeconomic effects, fossil fuel subsidies have a significant negative impact on the environment and climate change. Subsidies create incentives to consume fossil fuels and disincentives to use resources efficiently and invest in renewable energy. A recent study of 20 countries including Bangladesh finds that a phasing-out of fossil fuel subsidies by 2020 will lead to an average national carbon emissions reduction of 8.7 per cent for Bangladesh. Additionally, if a part of fiscal savings is used to improve energy efficiency and invest in renewable energy, the CO2 reduction estimates will increase to 13.6 per cent. The political economy of oil subsidies: The government's control over oil prices is driven by its determination that oil is a sensitive commodity and that its pricing and associated consumption cannot be left to market forces. The current oil pricing mechanism seeks to achieve three socioeconomic objectives: 1) provide affordable oil -- regarded as essential for lighting and cooking -- for the poor; 2) support the income of farmers by subsidising fuel for mechanised irrigation while keeping food prices low; and 3) prevent cost-push pressure on inflation from pass-through effects of oil price hikes. A review of available empirical evidence based on the 2010 Household Income and Expenditure Survey shows that poor households' population-weighted share of consumption of fossil fuels is extremely low: 0.1 per cent for kerosene and less than 0.1 per cent for natural gas and liquefied petroleum gas (LPG), petrol, electricity and motor oil and compressed natural gas (CNG). At the other extreme, the rich and upper-middle classes consume nearly 79 per cent of natural gas and LPG, 88 per cent of petrol, 89 per cent of diesel, 94 per cent of motor oil and CNG and 35 per cent of kerosene. When the poor and lower-middle-income groups are combined, the share of kerosene consumption goes up to 65 per cent. But diesel, petrol, natural gas and LPG, motor oil and CNG consumption remains concentrated among high- and upper-middle-income groups. This suggests there is a very little empirical basis to claim that oil subsidies benefit the poor in Bangladesh. This finding is consistent with cross-country international evidence that the benefits of oil subsidies go largely to the poor even when both direct and indirect effects are considered. In the case of diesel subsidies for agriculture, the benefits do not reach the poorest of the poor farmers at all, and lower-middle-income farmers benefit only marginally. Regarding inflation, while fuel price increases do tend to create inflationary pressures, the periodic adjustments of fixed oil prices can have similar effects. Importantly, large fuel subsidies can also fuel inflationary pressures through the financing side by causing greater Treasury borrowing from the banking sector to finance fiscal deficits. The important point is that sustained inflation management requires sound monetary and fiscal policies. The inflationary effects of large upswings in international fuel prices can be moderated through proper fiscal and monetary management. For example, the average global inflation rate has been lower than in Bangladesh even though Bangladesh does not allow pass-through of international oil prices on the upswing. Furthermore, over the past 40 years, the average inflation rate in Organisation for Economic Cooperation and Development (OECD) countries has been significantly lower than that in Bangladesh, even with no price controls over energy and flexible exchange rates in these countries. Clearly, the socioeconomic rationale for having open-ended subsidies on fuel oil is very weak. Nevertheless, there are some genuine costs of withdrawing subsidies, which need to be addressed in undertaking fuel subsidy and pricing policy reforms. Those who benefit from subsidies -- the middle classes and the rich -- will likely resist. This potential political fallout will need to be managed. Also, some of the poor, especially those in urban areas, benefit from kerosene. Measures will need to be taken to protect their real income. Additionally, higher diesel prices may increase public transport costs. These transitional issues are important and will need to be addressed as a part of the reform programme. Benefits of reforming oil prices, subsidies and the oil market in Bangladesh: There are considerable benefits for Bangladesh in reforming oil prices and subsidies and deregulating the oil market. First, it will help mobilise foreign and domestic private investment in the oil market, supporting growth and job creation. Second, government resources currently spent on oil subsidies could then be redirected towards other priority social programmes. Third, the government will be able to focus on the formulation of oil sector policies and ensure they are implemented -- as it is usually much easier to enforce policies on private companies than on state enterprises, which have their own constituencies and lobbies. Fourth, consumers will benefit from better service, higher-quality products, competitively set prices and more rigorously enforced environmental and safety standards. Finally, subsidies, if any, can be provided on a limited scale and on a transparent basis through the budget; this will allow the public to scrutinise how state resources are spent. Suggested approach to reforming oil prices, subsidies and the oil market in Bangladesh: Several developing countries have adopted far-reaching reforms to deregulate oil prices and the oil market. The recent decline in international oil prices has provided a politically favourable environment to accelerate these reforms. Two noteworthy examples from Asia are India and the Philippines. Both have now deregulated the oil market and moved to market-based prices for petrol and diesel. A review of international reform experiences suggests that strategy for reforming oil prices and subsidies and oil market deregulation should involve the following key elements: 1) proper timing of reforms; 2) a comprehensive reform plan; 3) appropriately phased energy price adjustments that can be sequenced differently across energy products; 4) improving the efficiency of SOEs to reduce producer subsidies; 5) targeted mitigating measures to protect the poor; 6) depoliticising energy pricing to avoid the recurrence of subsidies; and 7) a far-reaching communications strategy. Reform timing: Some politically sensitive reforms, like oil price subsidy and pricing reform, are best done from a position of strength. Bangladesh's economy is growing, the macro-economy is stable and inflation has come down. In this overall positive macroeconomic environment, low international oil prices during FY2015-FY2018 have presented a historic opportunity to reduce economically costly and environmentally damaging fuel subsidies. With oil prices low, subsidy removal will have limited adverse social consequences. This window is still open and the government needs to act quickly. International oil prices are still 38 per cent lower than average prices in 2012. Comprehensive reform plan: Reforms are more likely to be successful and durable if they are embedded within a broader reform agenda. Most successful oil subsidy reforms have been well planned, with a clear reform strategy and the establishment of long-term objectives, assessment of the impact of reforms and consultation with stakeholders. In particular, reforms should incorporate both a sustainable approach to energy pricing and a plan to improve the efficiency of energy consumption and supply. Designing a comprehensive subsidy reform strategy requires information on the likely impact of reforms on various stakeholders and the identification of measures to mitigate adverse impacts. This suggests that, for Bangladesh, instead of looking at oil subsidy reform in isolation, a full package consisting of oil market deregulation that allows private sector participation in all aspects of the oil market, oil pricing deregulation and reform of public oil companies aimed at improving their performance and competitiveness may be the way to go. A proper pricing policy must also address the issue of oil taxation (i.e. value added tax, sales tax, excise tax) as an instrument for addressing the issue of resource mobilisation. Many countries have successfully used oil pricing as a solid instrument for mobilising resources to finance transport infrastructure and other development programmes. Bangladesh has serious resource constraints, and oil provides a lucrative source of revenue generation to finance required development spending in support of the government's 8.0 per cent GDP growth target. The taxation regime can also be used to stabilise international oil price movements, as in India. The reforms should be conceived in totality but implementation may be phased over a number of years based on implementation capacity and political economy considerations. In this regard, the government can learn from the experience of India and the Philippines, which have now fully deregulated the oil market and oil prices. India, for example, established a number of task forces to develop the oil market reforms, which were extensively debated and discussed. Phasing and sequencing: While there is no oil subsidy now, without domestic pricing reforms, rising international prices may trigger its return. Exchange rate changes can also trigger price increases. As such, it is important for the government to adopt a phased approach to passing on any possible near-term price increases. A phased approach to reforms gives both households and enterprises time to adjust, and gives the country time to build credibility by showing that subsidy savings are being put to good use. It also helps reduce the impact of subsidy reform on inflation and creates room for the government to establish support to social safety nets. In Bangladesh, petrol is taxed but diesel, fuel oil and kerosene carry a subsidy. Diesel and furnace oil account for 65 per cent and 17 per cent of oil consumption, respectively. As such, they contribute most to the subsidy bill. Above we have showed that most of the subsidy goes to the middle and rich income groups. Therefore, reforms in diesel and furnace oil pricing are the top priority. As the social safety net is strengthened, subsequent rounds of reform can include larger increases in prices for fuel products that are more important in the budgets of poor households (e.g. kerosene) and part of the budgetary savings can be used to finance targeted transfers to poor households. Reforming BPC and subsidiaries: Improving the efficiency of the oil state-owned enterprises (SOEs) can reduce the fiscal burden on the oil sector. BPC is bankrupt and needs financial support from the Treasury and the public banking sector to stay afloat. A part of the subsidy reflects price controls but there are also efficiency concerns. Lack of competition and weak performance monitoring leave no incentives for an efficiency drive, yet improved efficiency could strengthen the financial position of BPC and its affiliates. Such improvements will be particularly important in a deregulated oil market environment so that BPC and affiliates can compete effectively with private producers and distributors. An international audit of BPC will strengthen its governance, helping it establish proper business accounts, improve transparency and provide the government with an appropriate baseline to establish a proper monitoring and performance evaluation system. In particular, this can help identify system inefficiencies (e.g. overstaffing) and vulnerabilities (e.g. major loss points and bottlenecks in energy flows). With the establishment of proper pricing, BPC should be required to earn a profit, finance its own investment and make good on its full debt servicing obligations. Delinking BPC operations from the budget and converting it to a profitable enterprise will be a major positive reform. Instituting safety nets to protect the poor: Well-targeted measures to mitigate the impact of oil price increases on the poor are critical to build public support for subsidy reforms. International experience with targeting fuel subsidies shows several administrative problems, including leakages, adulteration and smuggling. The best policy option is to adopt a cash transfer approach. Fortunately, Bangladesh is already well advanced in undertaking the preparations towards a cash-based social security system. In 2015, Bangladesh adopted the National Social Security Strategy, which calls for a substantial overhaul of the social security system, including a transition to cash transfers. The preparatory work undertaken in this context can be applied to the need to phase out fossil fuel subsidies. Elimination of the diesel subsidy will increase the cost of irrigation when international prices go up further. This adverse effect on the cost of production and farmer incentives can be offset through improvements in farm productivity, investments in rural infrastructure, including flood control, and removal of the export ban on food that is depressing the domestic price farmers receive. Similarly, removal of the subsidy could lead to cost increases in transportation when international oil prices go up. To address this, the government may need to develop direct ways to subsidise public and private mass transit systems. This includes direct subsidies to public mass transit and tax breaks, such as import duty reductions, accelerated depreciation options and profit tax reductions for private buses. The government can commission a study to look into ways to lower transport costs in an un-subsidised oil price regime. Setting proper prices for oil products: Successful and durable reforms require a proper mechanism for setting energy prices. Many countries have implemented reforms only to see subsidies reappear when international oil prices increase. Establishing a proper oil pricing system is important to ensure the sustainability of reforms. The German Federal Enterprise for International Cooperation (GIZ) suggests a set of four principles to guide the development of a sustainable oil pricing policy: pricing principles; price regulation principles; transparency principles; and enforcement principles. 1. Pricing principles: These comprise three elements -- cost coverage; applying fuel taxes; and internalising the external effects of the transport sector. The idea behind cost coverage is that prices should cover at least all costs of production (import, refining, transport and depreciation). The next consideration in price-setting is the use of taxes to develop the transport sector (cost recovery of road infrastructure including maintenance) or more broadly to generate revenues for the government. A third consideration is to internalise the external costs from the use of fossil fuels (i.e. the tax on carbon emissions). Most countries are moving towards this broad-based pricing policy. 2. Price regulation principle: This principle advocates that price adjustments must reflect the changes in the cost of production, exchange rate changes and general inflation. The rationale is to avoid subsidies by allowing full pass-through of all factors that affect the cost of production. 3. Transparency principles: The idea here is that stakeholders must have full information about how prices are set. Information about the main components of pricing (costs and taxes), how prices are set, who sets them, the frequency of price changes and the reason for changes must be communicated to the general public through a website and mass media so there is a common understanding of oil price behaviour. 4. Enforcement principles: The proper implementation of defined pricing principles requires that they are properly monitored, supervised and enforced. Enforcement must also pay attention to issues of smuggling, black markets, adulteration and quality assurance for oil products as per specification. The current Bangladesh oil pricing system does not meet any of these principles, suggesting that a thorough overhaul is needed. Two policy questions emerge: Should the government continue to regulate oil prices by instituting an automatic pricing formula or should it deregulate the prices and leave pricing to the market? This is a political economy choice. For example, India and the Philippines have completely deregulated oil prices, except for kerosene in the case of India. The advantage of market-based pricing is the complete de-politicisation of oil pricing. However, this requires adequate competition in the oil market and proper administrative and regulatory capacities to monitor the performance of the oil companies and prevent cartelisation. Since Bangladesh does not yet have a competitive oil market, full deregulation of oil prices may be premature at this time. So, in the first phase of the reforms, adoption of an automatic pricing formula that reflects the above principles may be the way to go, along with deregulation of the oil market to allow private sector participation in all areas of the industry. BERC should administer this pricing policy without government intervention. This requires that BERC be strengthened through greater autonomy and quality staffing to carry out its assigned job with competence. BERC will also be responsible for providing all the necessary information to the public at large to fully maintain the transparency criteria for oil pricing. The government's main role will be to decide on taxation policy for oil as appropriate. Over the longer term, subsidy reforms for petroleum products should aim to fully liberalise pricing. More liberalised regimes -- where prices are determined by private sector suppliers and move freely with international prices -- tend to be more robust to the reintroduction of subsidies than automatic pricing mechanisms. Under a liberalised regime, the role of the government is to ensure fuel markets are competitive and there is free entry and exit from the sector. A well-functioning social safety net should be in place before liberalising prices to ensure low-income groups can be protected from future price increases and thus avoid public pressure to reintroduce subsidies. Successful implementation of an automatic pricing mechanism can facilitate the transition to a liberalised pricing regime by getting the public used to frequent changes in domestic oil prices. It can also build up the confidence of private suppliers to invest in oil products and services that the government will not return to subsidised pricing. A far-reaching communications campaign by the government can help generate public support and should be undertaken throughout the reform process. This information campaign should explain the magnitude of energy subsidies and their implications for other parts of the budget. The benefits of removing subsidies, including on a post-tax basis, should be underscored, in particular the scope for using part of the budgetary savings or additional revenues to finance high-priority spending on education, health, infrastructure and social protection. It is equally important that the government also disclose all pertinent information about how prices are formulated and the factors behind planned price increases. The adopted pricing system must meet the transparency criteria for price setting noted above. All relevant information should be available in a usable form on the government's website. Additional considerations for oil market deregulation in Bangladesh: Deregulation is defined to mean the removal of all entry barriers to private participation in all aspects of the oil market. It does not imply the absence of government regulations relating to monopoly control, safety standards, protection of consumer interests and taxation. Indeed, prudential regulations are very much necessary to ensure a healthy, competitive market that also protects public interests relating to safety and quality. In addition to the strategic factors noted above under oil pricing reform, the following are some specific recommendations for the possible implementation of oil market deregulation in Bangladesh. 1. Deregulate all segments of the oil market to allow private investment and competition. Provide a level-playing field by reducing the monopoly hold of BPC in both upstream and downstream segments of petroleum trade and processing, to incentivise other globally well-known petroleum brands to invest in petroleum infrastructure, storage, pipelines, transportation and retail. 2. Make BERC the effective regulator of the energy sector, including oil, to regulate any monopolistic behaviour, but at the same time allow prices to be market-determined (something in line with the practice in the mobile telephone sector). 3. Put in place and enforce zoning laws and environmental and other safety standards for setting up petroleum infrastructure. 4. Implement a transparent open access regime for terminals, storage and pipelines to facilitate entry and to enhance competition; there is already some private sector participation in these areas. 5. Take special steps to introduce competition in the transportation of petroleum products, with long-term plans developed for handling redundant road transport fleets, keeping in mind the social ramifications. 6. Help reduce the cost of fuel in the country by ensuring the price components related to processing, distribution and retail systems are as efficient as possible; and reducing the amount of fuel consumers and businesses require for an average unit of economic activity or consumption, through energy efficiency, conservation or diversification. 7. Establish product quality standards, to be posted in retail outlets and monitored by the government. In the longer term, let market competition ensure that prices are competitive and that prices at pump-head at the retail level actually reflect the quality and standard of the petroleum product sold -- there should be options for the discriminating customer. Dr Zaidi Sattar is the Chairman of Policy Research Institute of Bangladesh (PRI). Dr Khurshid Alam is the Operations Director of PRI. exclusive right to reprint it.